One prong set princess cut diamond, measuring 4.42 x 4.13 x 3.05mm exact weight 0.46ct. EGL Platinum Report attached. Graded loose prior to setting in the EGL Laboratory Report #1661057531. 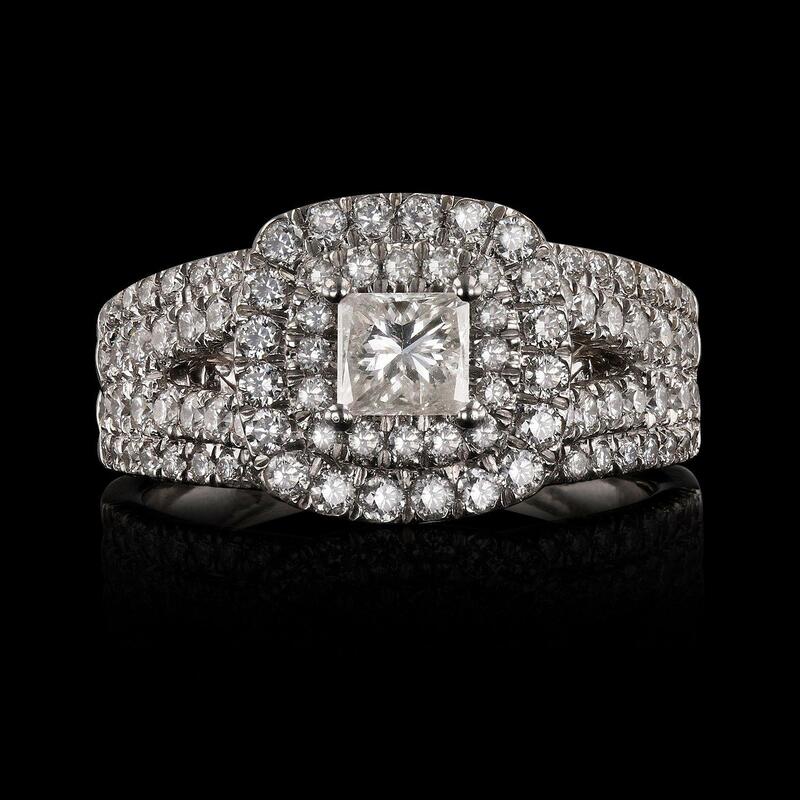 One hundred prong set round brilliant cut diamonds approximate total weight of 100 Stones = 1.07ctw. Graded in the setting. Total Weight of Diamonds 1.53ctw.